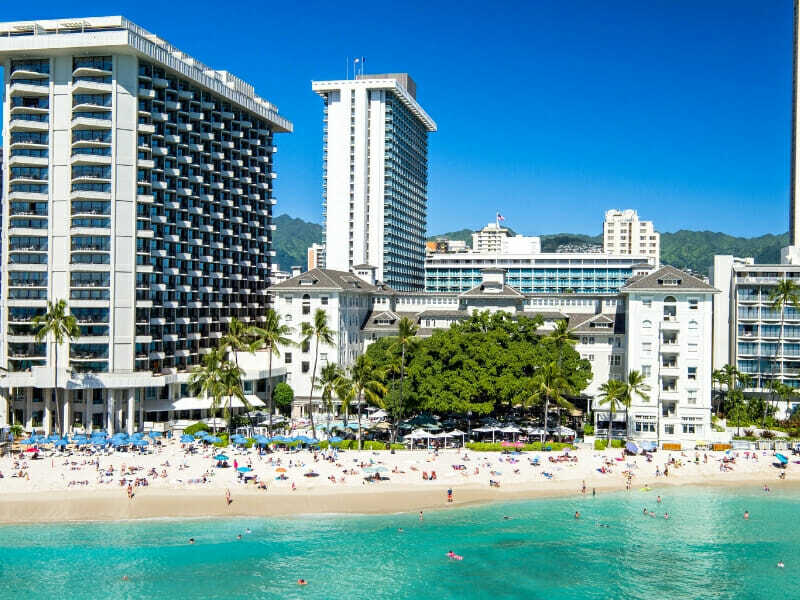 Waikiki’s first hotel Moana Surfrider, locally known as ‘The First Lady of Waikiki’, has been standing on its beachfront location for over 100 years. This legendary landmark has since undergone a number of renovations and refurbishments but still retains its wonderful old world charm. 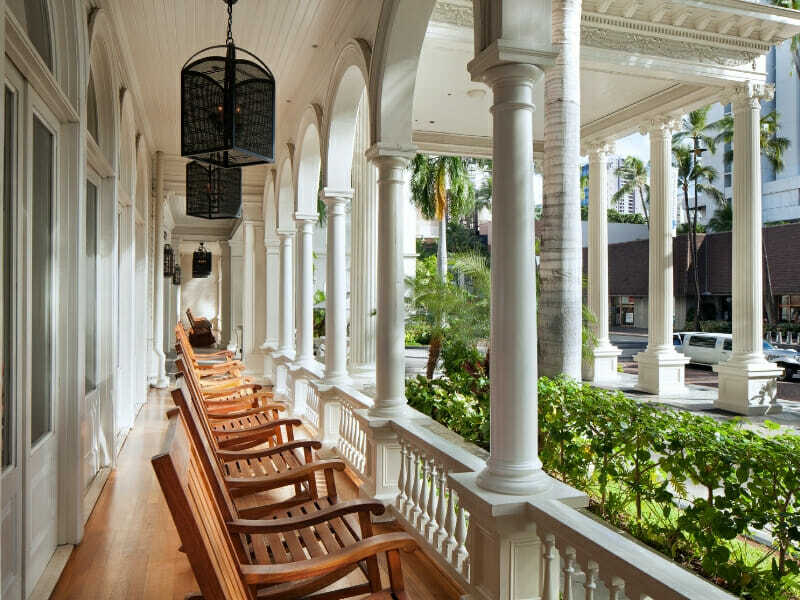 The Moana Surfrider was the first hotel to be built in Waikiki, opening its doors in 1901, and it still remains a premier destination for travellers in Waikiki. Over the 100+ years since this resort was built it has endured several upgrades, renovations and refurbishments before being rebranded to a Westin Resort & Spa in 2007. The Moana Surfrider day spa, Moana Lani Spa, opened in 2008 as Waikiki’s first and only total beachfront spa. The state-of-the-art spa features 14 treatment rooms and a huge ‘Westin Workout’ fitness facility with an enticing list of treatments and services. 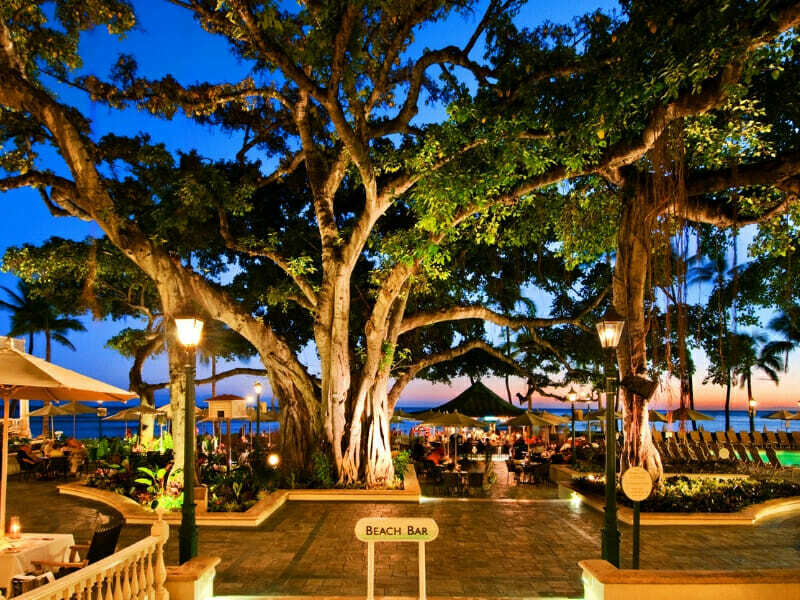 Relax in the beachfront courtyard under a huge banyan tree while sipping a cocktail from The Beach Bar or rent a surfboard and catch some of the worlds favourite waves; Step back into yesteryear with the resorts “First Lady of Waikiki’ historical tour or get a taste of the island at one of the on-site restaurants. 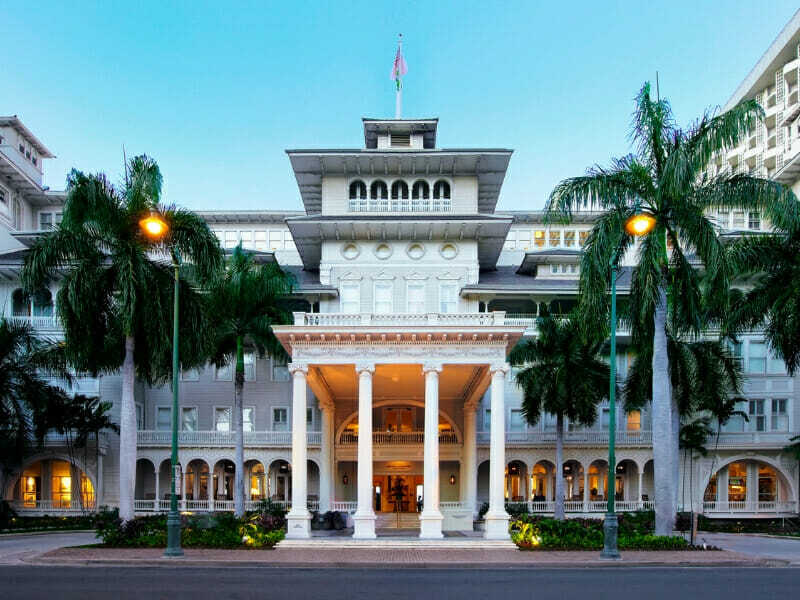 Experience true Hawaiian hospitality at the Westin Resort & Spa, Moana Surfrider. 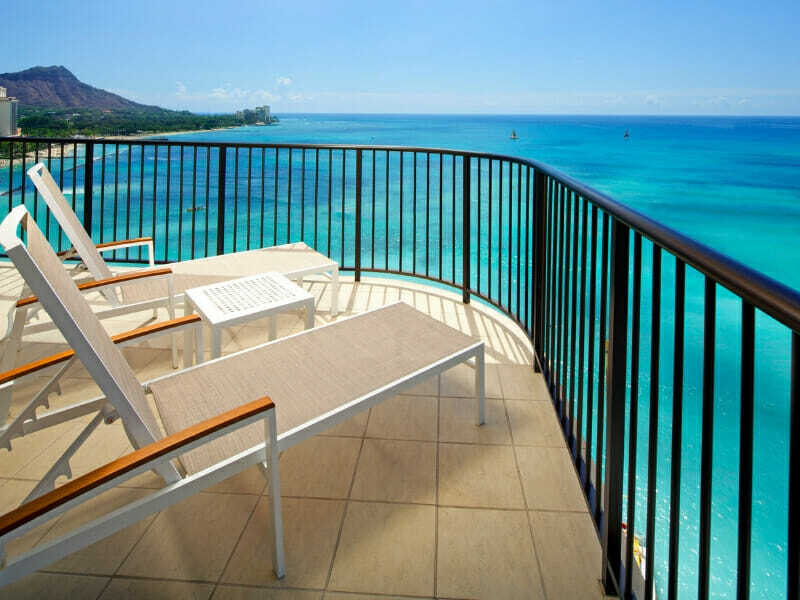 Located on prime beachfront in Waikiki Moana Surfrider is central to shopping, restaurants, attractions and the beach. 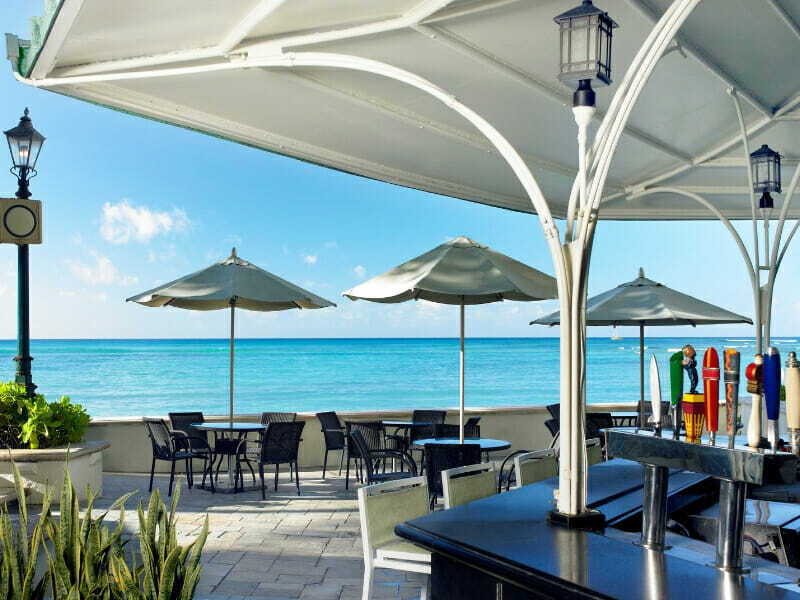 There is also an endless list of facilities and activities available for guests at the resort itself including free Wi-Fi, beachfront swimming pool, rooftop terrace, day spa, water equipment and more. Moana Surfrider offers guests the best of both worlds, marrying modernity with heritage. Stay in the stylish, Hawaiian-inspired rooms that still preserve the historical charm and experience the leading-edge amenities and exceptional service at Moana Surfrider. 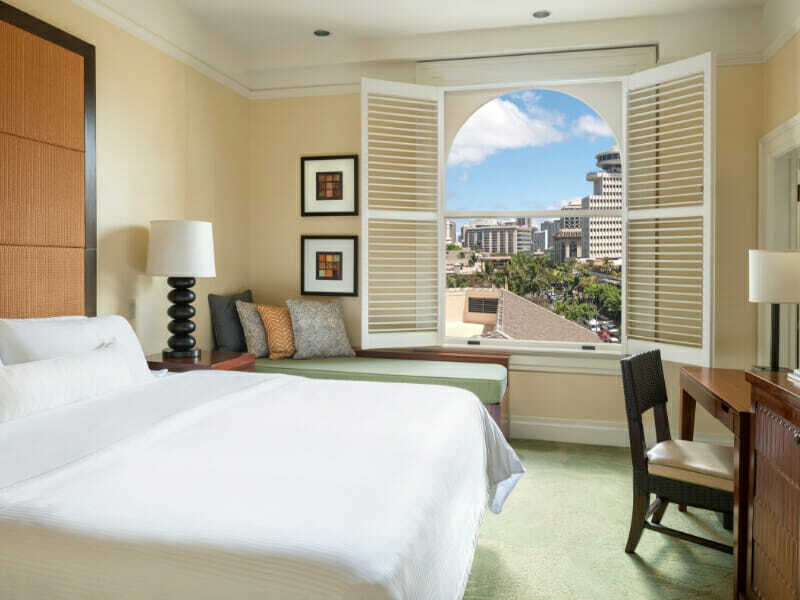 All Historic Banyan Rooms at the Moana Surfrider are located in the historic, original Banyan Wing with views of the vibrant city of Waikiki. The air-conditioned rooms feature Westin’s signature Heavenly Beds and spa products, LCD TV, refrigerator and other Westin touches. This room is 20-30sq. metres & sleeps up to 2 guests. 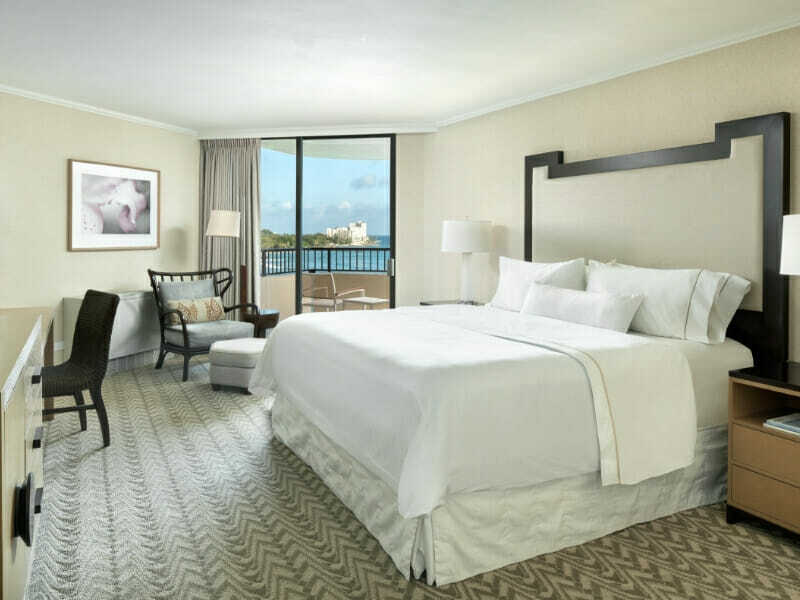 Located in the Tower Wing, spacious Tower Partial Ocean Rooms offer a partial ocean view and feature Westin signature Heavenly Beds (one king or two double), complimentary Royal Kona coffee and Tazo teas, contemporary furnishings and deluxe bath products. Also enjoy modern features including LCD TV, air conditioning and private balcony. This rooms is 32sq. metres & sleep up to 4 guests. 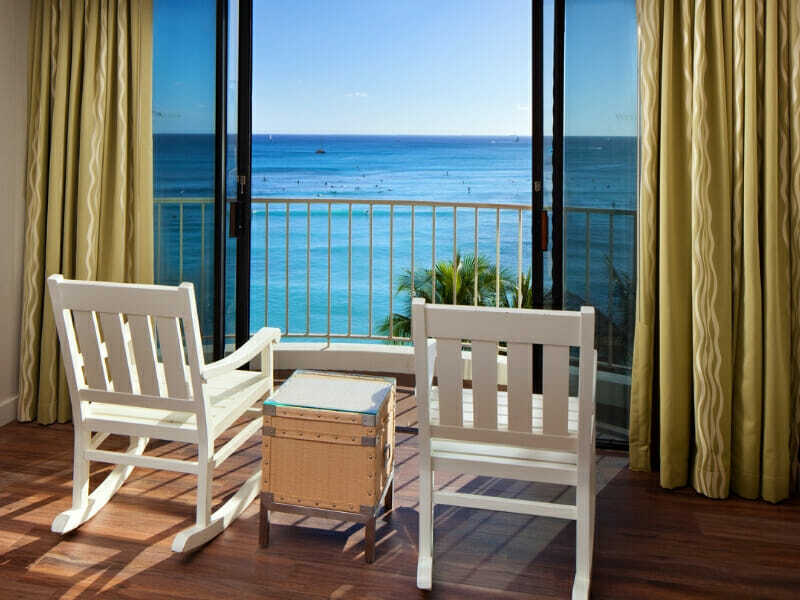 The Historic Banyan Ocean Rooms at the Moana Surfrider are located in the historic, original Banyan Wing with views of the pristine sands of Waikiki Beach. The air-conditioned rooms feature Westin’s signature Heavenly Beds and spa products, LCD TV, refrigerator and other Westin touches. This rooms is 20-30sq. metres & sleep up to 2 guests. One of the most luxurious accommodations at the Moana Surfrider, the Tower Premiere Ocean Room is exclusively located on the upper floors of the Tower Wing with stunning views of the Pacific Ocean. Inside is relaxing and comfortable with Hawaiian décor, signature Westin Heavenly Beds, deluxe spa products and more. This rooms is 32sq. metres & sleep up to 4 guests. PLEASE NOTE: Some room features may incur additional charges. 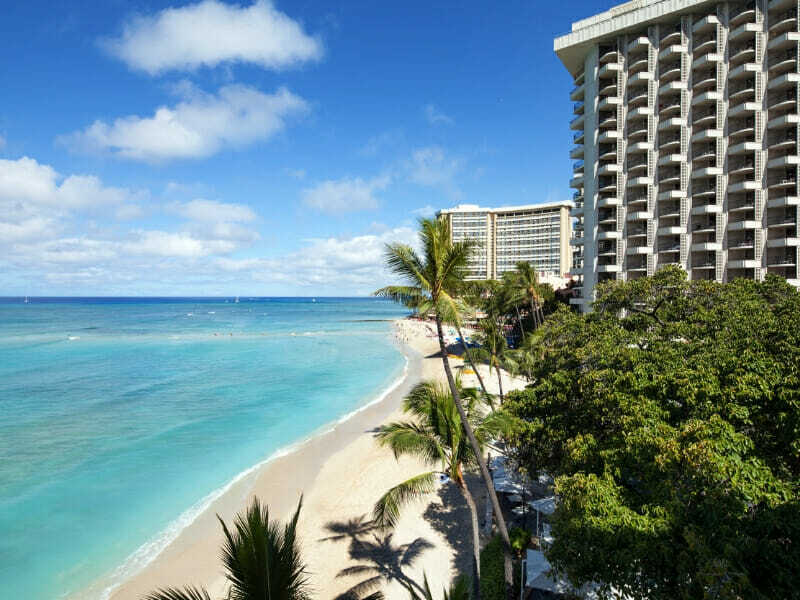 Located in a prime setting on the world-famous Waikiki Beach, Moana Surfrider is central to shopping, restaurants, attractions and much more and it’s only 25-minutes to the Honolulu International Airport. The opportunities for things to do in and around Moana Surfrider is endless. Stay within the resort and enjoy a peaceful and relaxing holiday experience. 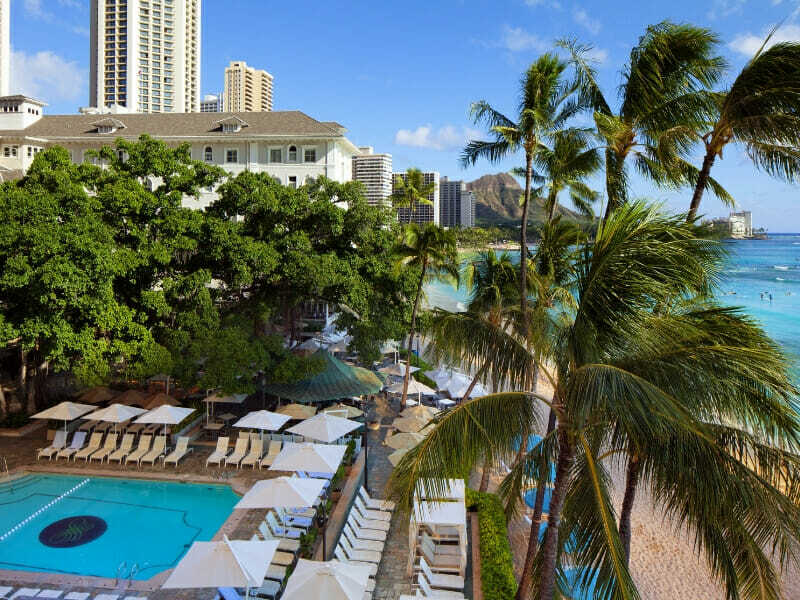 Spend a quiet day by the poolside sipping a fresh coconut from the Beach Bar or wander just steps from the pool to the white sands of Waikiki Beach. Rent a cabana or a beach umbrella to relax under or visit Aloha Beach Services and sign up for a water sport class to learn how to surf or use a paddle board. Join talented local musicians in the resorts Banyan Courtyard and enjoy live entertainment each afternoon then party on into the evening and experience the popular Westin evening ritual unwind where you can indulge in the sounds, tastes and sights of Hawaii. Immerse yourself in the island and go for a day tour around Oahu or shop ‘til you drop in the massive market places in Honolulu. Travel to Hanauma Bay for the ultimate snorkelling experience or go inland for a hiking adventure up Diamond Head. This place is amazing. 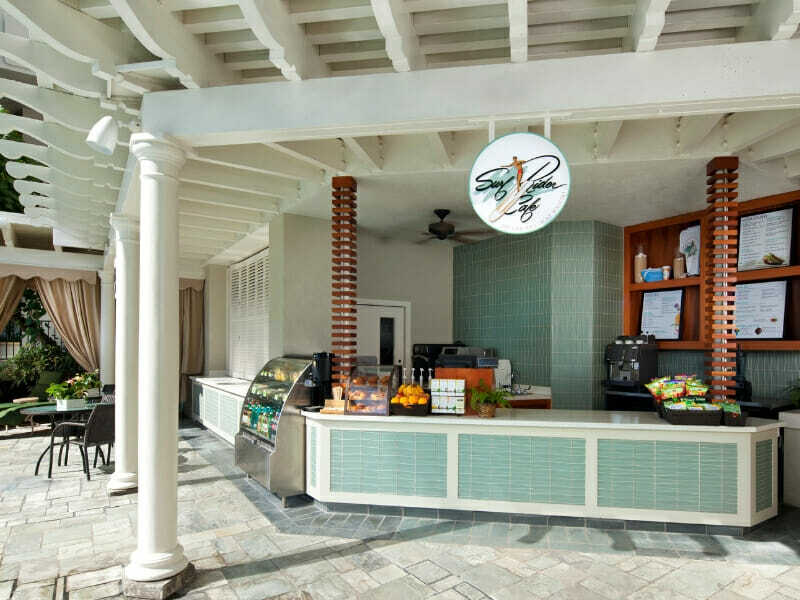 Located on the best part of Waikiki beach. The staff was incredibly lovely from the front desk, to the pool area, to the restaurants. Waking up to incredible ocean views made this a vacation to remember. We can’t wait to come back!